Are you planning a trip to Thailand? This would be the best option to spend your vacations over there to feel relax by all means. Most of the people every year plan to visit different countries to make their mind relax from their stress-full and busy routine. If you are in Melbourne and you are planning to visit Thailand for your vacation you probably require the respective currency of Thailand (Baht) to meet your personal expenses over there. If you need to convert your AUD into THB you may frequently visit Danesh Exchange services in Melbourne. 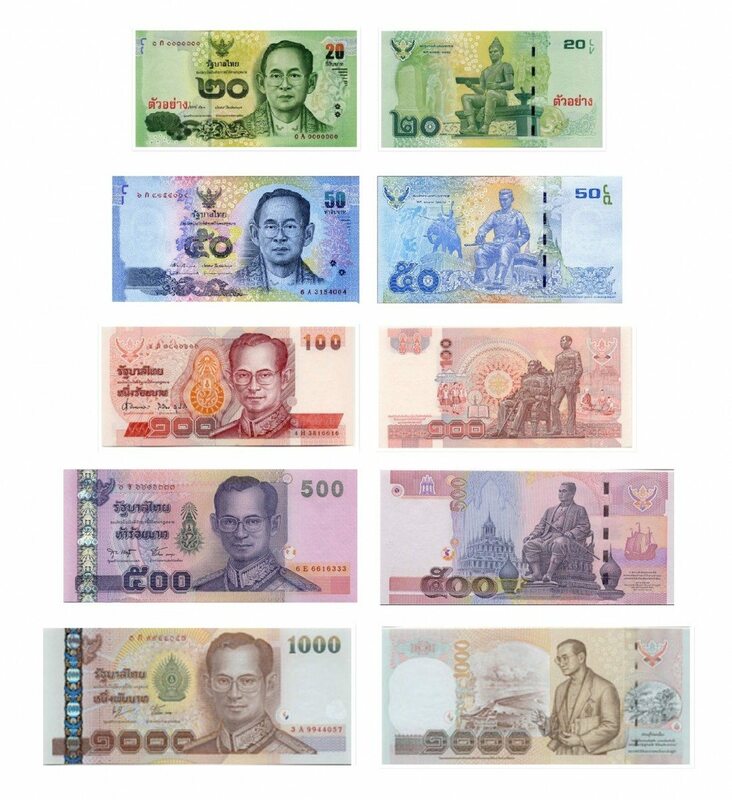 In our premises, you will definitely get the best exchange rate on Thai Baht with complete availability of the required cash in the counter. Here we will also discuss some most important ways by which you can easily get the cheapest exchange rates along with the remarkable services. Moreover, we will also let you know further benefits of gaining our currency exchange rates in Australia respectively. Usually, people use to get the desired THB through online services. There are different types of online dealers who use to provide the exchange rates to grab the customers. Online offers $0 commissions BUT may charge credit/debit surcharges. whereas buying currencies from the store may charge transaction/service fees. The negative thing in online currency buying is to place your order 3 days before to collect your money. Danesh Exchange will soon be offering order online service. Where you can purchase foreign currencies online and pickup at store. We surely provide you the security of your ordered currency and we also provide the best exchange rate on Baht. It would be better choice to get the required amount of currency over the counter anytime. No doubt, you will definitely have so many options around you that are offering the best and different exchange rates. They probably compete the other competitors in the market and usually, they have lack of currency of other countries like Japanese yen or Malaysia Ringgit etc. Now the question is how to get the best exchange rates? Simply you can get the authentic idea from Google today’s exchange rate and this would be wholesale exchange rate but you will definitely get closer to the exact exchange rate. Call your nearest money changer and confirm the exchange rate as well. You should have to bargain on the rate at some extent with them. You may also have to ask them about the availability of your desired currency as well. Another thing you should get in your knowledge, some stores have prepaid exchange rates. In Pre-Paid Exchange Rates you are liable to pay in advance and pick it up after 3 business days. Whats if prepaid exchange service? Here in Danesh Exchange, we are launching a new service, where you can get a even more better rates by using our pre-paid service. Simply place an order in advance and and get your desired currency on a specific date at very affordable rates as compared to the market. Buying the currency from the bank is the worst option because you have to pay huge transaction charges and you would probably get the low exchange rate as well. Buying currency from the airport is also the worst option. They also charge huge transaction fees and you will not get the best exchange rates. Most of the people like to bring the AUD with them to get exchange them. It is a good option as well but you will never get the best rate if you are out of Australia. We Danesh exchange offers our valued clients to get their converted THB from Australia so you may easily bear your personal expenses. You will probably get the larger amount converted into desired money but beware not all the online stores will allow you to order. The max amount you can order is up-to $10,000-AUD. online might not have no commissions but look out for credit card surcharges. Collect your order after 3 business day. Cannot sell left over currencies. You can negotiate with the respective money changer to provide you the best exchange rates according to your expectations. We proudly say that Danesh Exchange is one of the top leading currency exchange service provider in Melbourne. You will probably get the best currency rates. We also deal in all currencies and you will surely get the desired quantity of the currency as well. You can get in touch with us anytime without any hesitation. We will surely provide you the best solution regarding best exchange rates. For further query please visit our store and we will surely provide you the best solution.